Instant Pot Pumpkin Cheesecake Muffin Bites are the perfect bite of texture and creaminess, that will make your mouth smile. Easily baked in a pressure cooker. Holidays just beg for cute and individual bites of something. 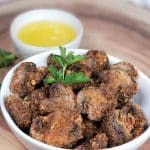 Whether it be bites of dessert or bites of appetizers, every one loves to pop a little sweet into their mouth. 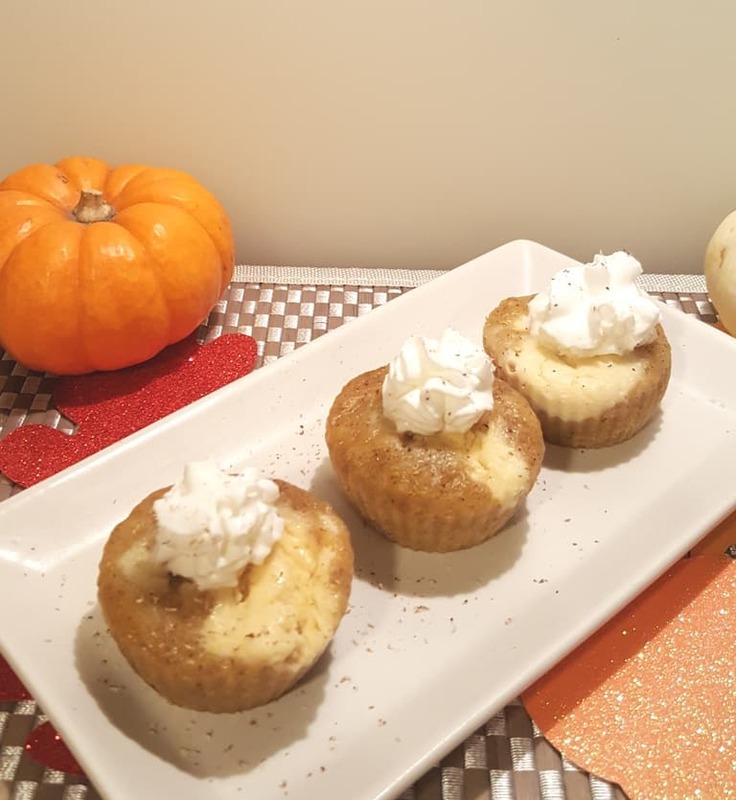 Using my Pressue Cooker Buttermilk Sugar Pie Pumpkin Bread recipe and my infamous Instant Pot New York Cheesecake recipe, I altered and combined them to create these Instant Pot Pumpkin Cheesecake Muffin Bites. Fresh Homemade Pressure Cooker Pie Pumpkin Puree really makes these little Bites pop in your mouth. The freshness is so apparent. 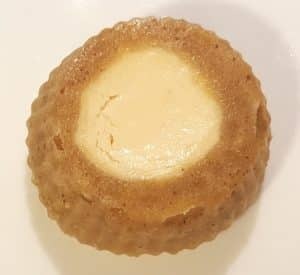 Making Instant Pot Pumpkin Cheesecake Bites in the the Instant Pot, Mealthy MultiPot or Pressure Cooker is so easy. When I saw these Mini Silicone Baking Cups, I snatched them up and knew right away what I would create in my Instant Pot, Mealthy MultiPot or Pressure Cooker for Thanksgiving. The timing was perfect. I just happen to have some fresh Pressure Cooker Sugar Pie Pumpkin Puree in my fridge. 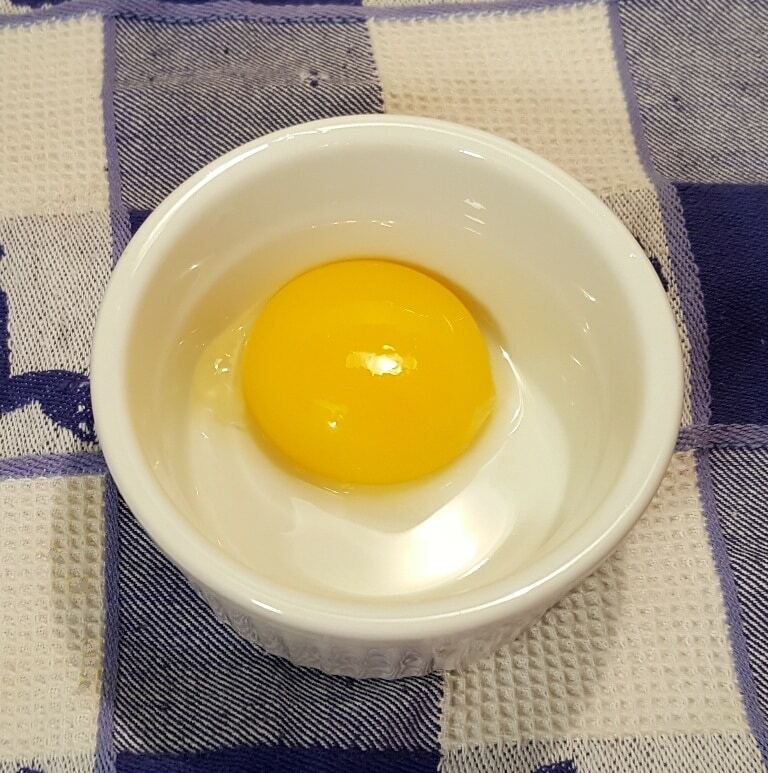 Separate out the yolk from one of the eggs and set it aside. We will use it in the cheesecake filling. 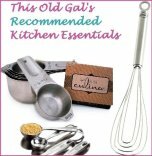 Make this recipe Gluten Free by using Bob’s Gluten Free Flour Baking Mix! Mix all the dry ingredients together. This is simple – wet ingredients get mixed together and dry ingredients get mixed together. Then they both get combined with each other. Pretty simple. Rather than using Buttermilk, I used Homemade Greek Yogurt, so that the Batter would be slightly thicker to account for the wet Cheesecake Filling. 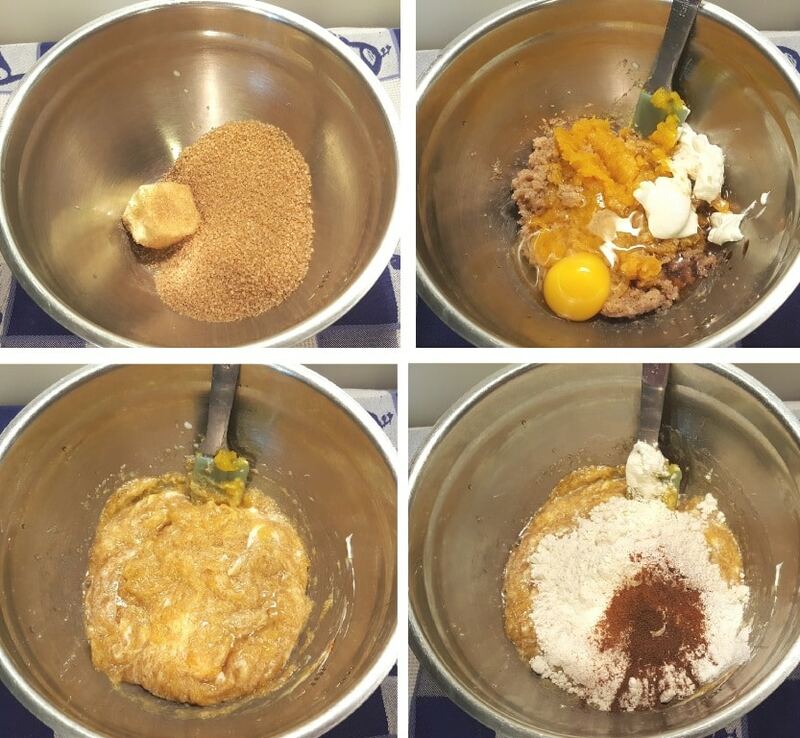 In order to make light and fluffy muffins, you must hand mix them and…..only enough to combine. You will see lumps and streaks of flour and egg and stuff. That is totally fine. So, add the butter and sugar to a Mixing Bowl and cream together. Add the rest of the wet ingredients to the Mixing Bowl and hand mix together, just until combined. Batter will be a bit lumpy and that is fine. Slowly add in the dry ingredients, a bit at a time and hand mix into the wet ingredients. Don’t worry about any lumps. You can see that the Muffin Batter is just barely combined. You might see some flour pockets, which is totally fine. You do not want to over mix the batter. This is what will give you a very light and fluffy muffin. 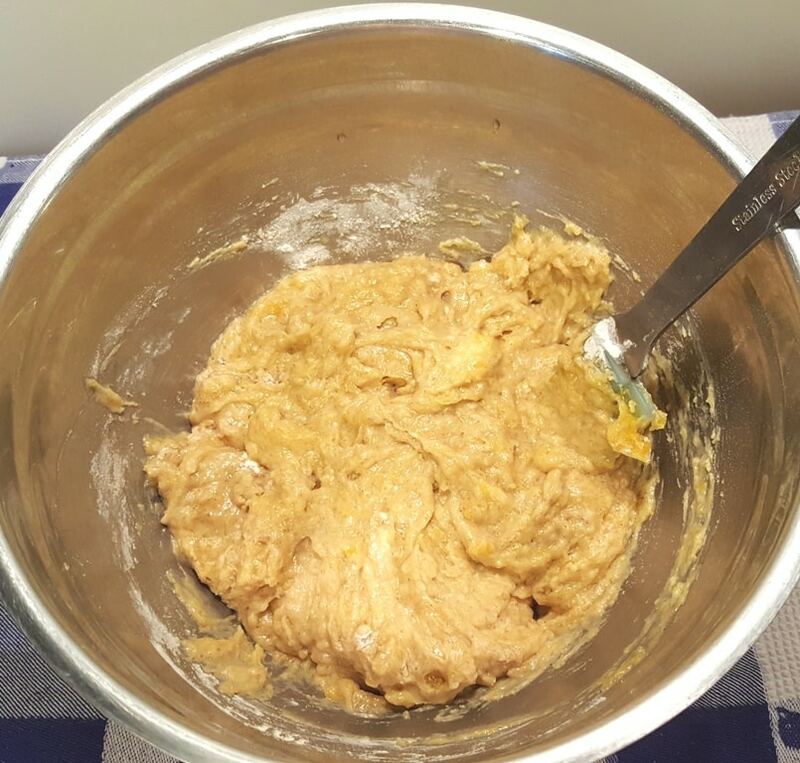 Over mixing will cause dense, heavy and hard muffins. DO NOT GREASE THE BAKING CUPS!!!!! 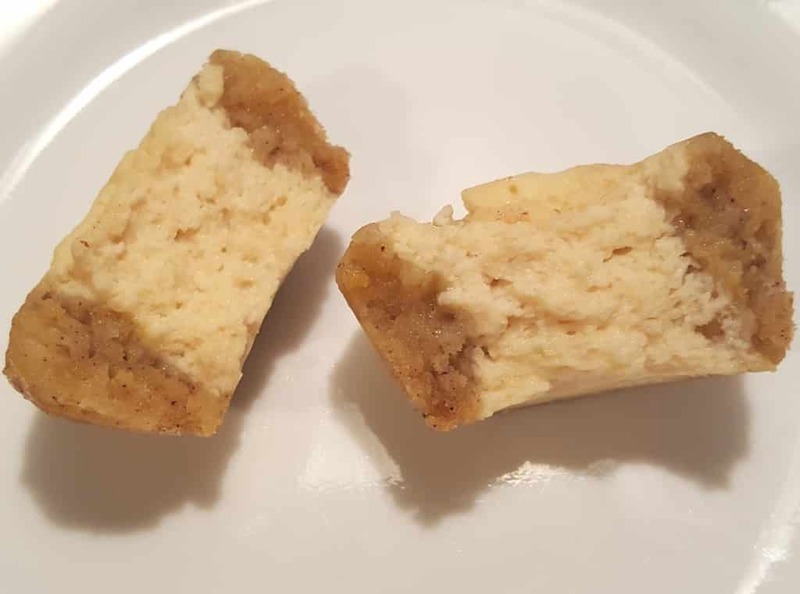 The Batter needs to be able to cling on a bit, so that the Cast of Ingredients for Instant Pot Pumpkin Muffin Cheesecake Bites will rise properly. I used a 1.5 Tablespoon Cookie Dough Scoop and divided the batter between 18 Mini Silicone Baking Cups. Make sure the cream cheese (I only use Philadelphia brand) and eggs are at room temperature. 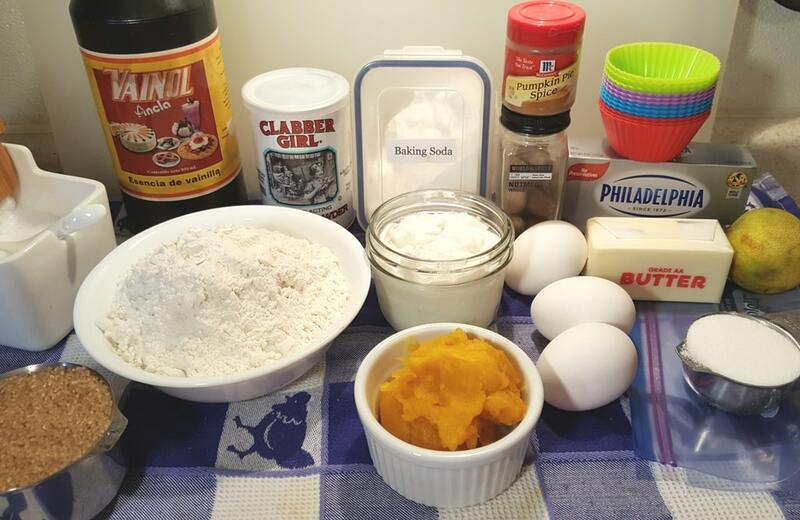 Combine all the cheesecake ingredients, except for the eggs and use your Electric Hand Mixer to mix together well. I skipped my signature peels in lieu of True Orange Crystalized Orange. I thought a little punch of citrus would heighten the pumpkin flavor and it sure did. First add the single yoke. Hand mix it through. 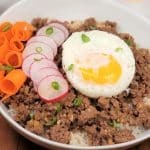 Add the whole egg and hand mix that though, just until combined. Add the Cheesecake Filling to a Pastry Bag fitted with a Decorating Tip, or slurp it up in a 60 ml Syringe, so that you can inject the filling into the Muffin Batter. Using a 60 ml Syringe, is super fast and easy. If you think you might want more than one Syringe, it is cheaper to buy a pack of Fifty 60 ml Syringes. I had to syringe feed Oliver, my sick cat a while ago, so I bought lots of these 60 ml Disposable Syringes. I spoke about that when I made my Pressure Cooker Chicken Feet Broth for Cats & Dogs. They work awesome in place of a Pastry Bag to inject filling into cake, muffins, meatballs, etc. You can see that the Muffin Batter is all puffed up now. 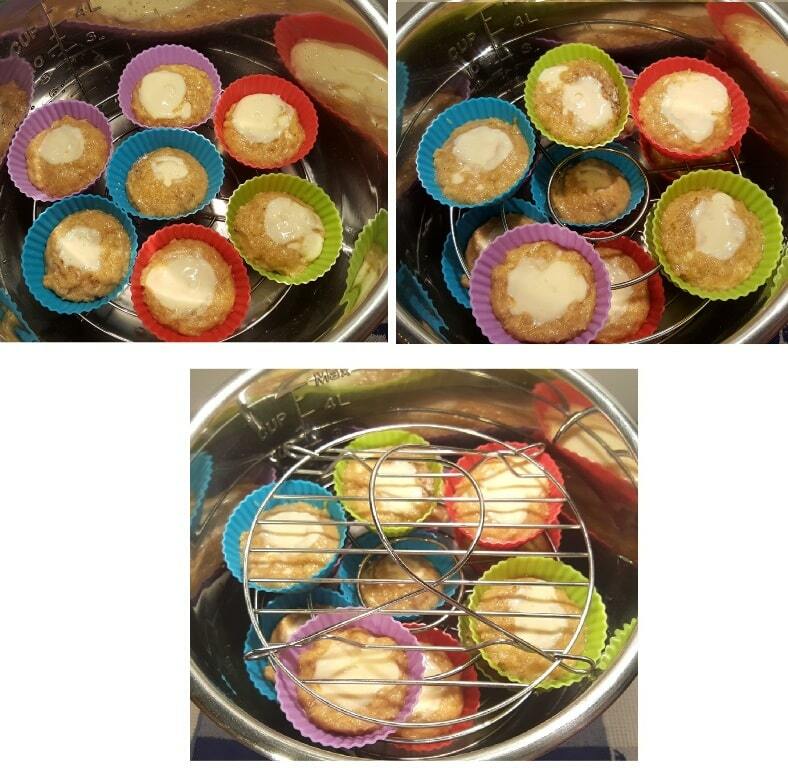 Divide all the Cheesecake Filling between the 18 Mini Silicone Baking Cups. I injected about 30 ml into each Muffin Cup of Batter. The Muffin Batter will rise around the Cheesecake Filling. 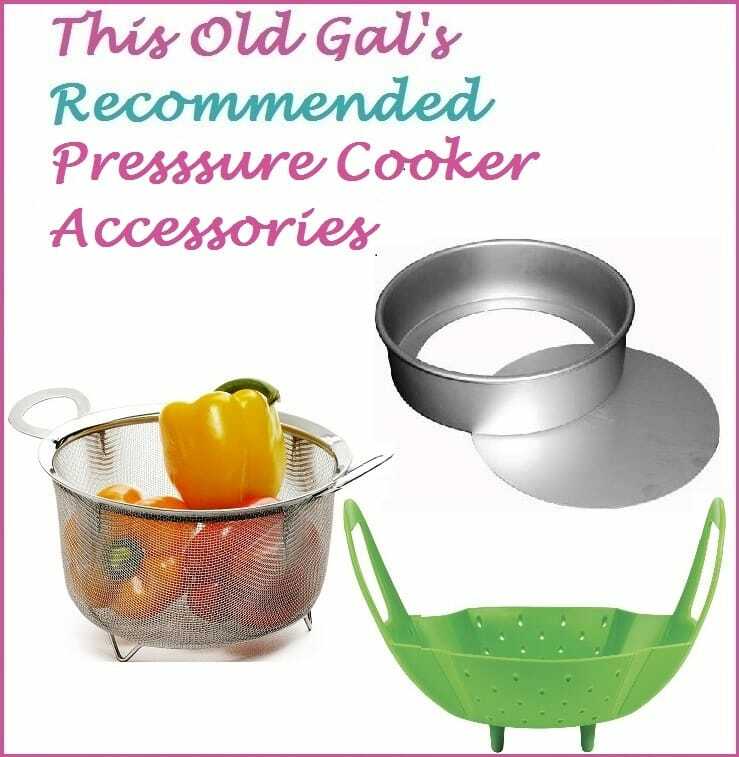 Add water to the bottom of your Pressure Cooker cooking pot and place a Stainless Steel Trivet. Place the Mini Silicone Baking Cups on top of the Trivet. I have a long legged trivet, so I am able to place a double layer and get 12 into my 6 Quart Pressure Cooker. You can see how the filling will stay nice and soft inside the Muffin Batter. This reminds me of a Cheese Danish. The texture is similar. 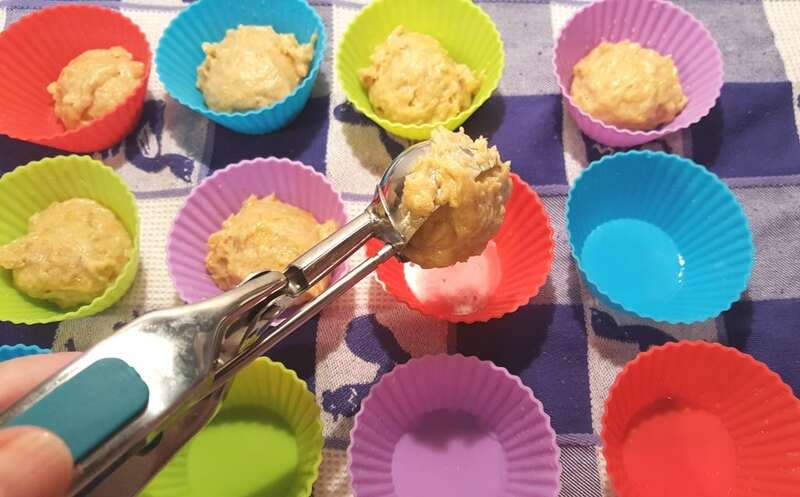 These Instant Pot Pumpkin Cheesecake Muffin Bites look cute upside down. I bet you could serve them that way. What do you think? Yay or nay? 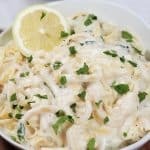 You can easily make these in advance and then freeze! Allow to cool and then garnish with Perfect Homemade Whipped Cream and a dusting of Cinnamon and Shave some Whole Nutmeg on top. More Instant Pot Pumpkin Recipes to Make. Add sugar and butter to bowl and cream together. 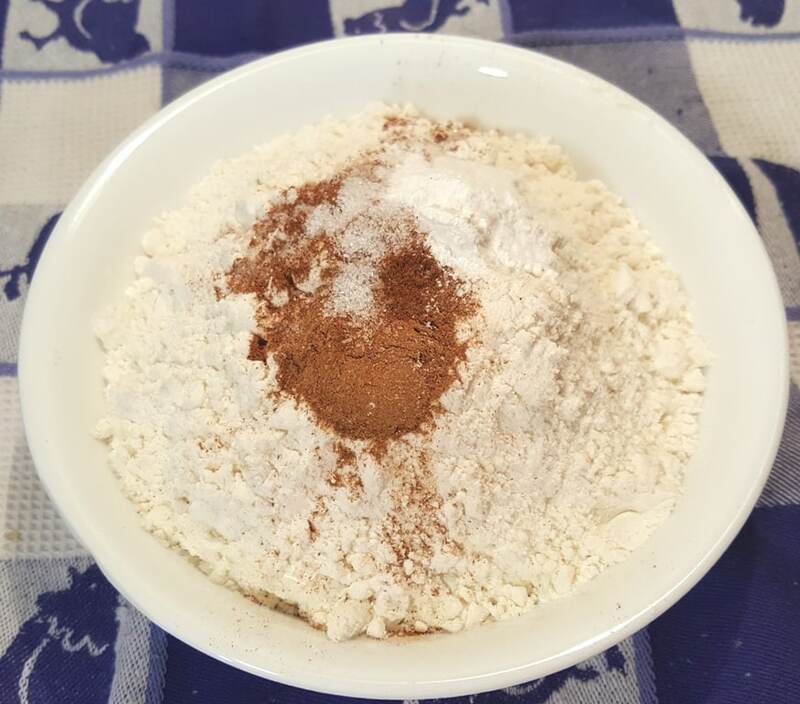 Combine dry ingredients and add them to wet ingredients and hand mix to combine. Batter will be slightly lumpy. 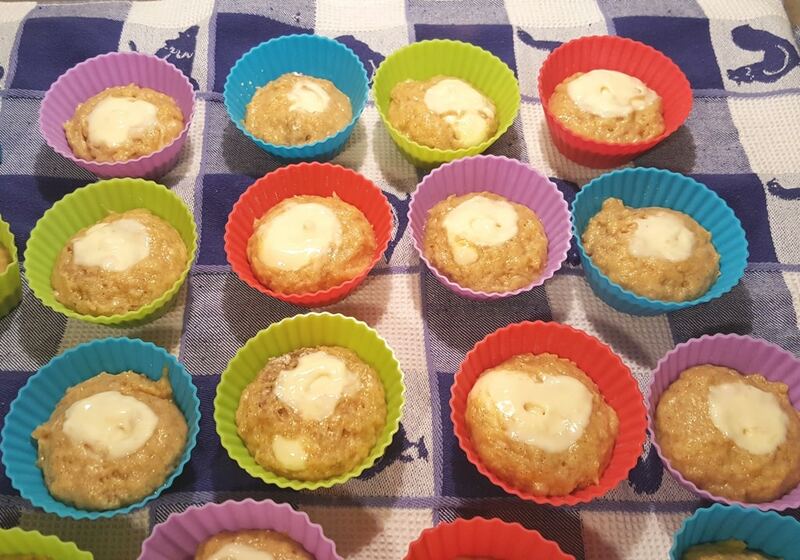 Add approximately 1.5 Tablespoons to each Mini Muffin Cup. Blend together cream cheese, sugar, yogurt, True Orange/grated peels and vanilla extract until smooth. 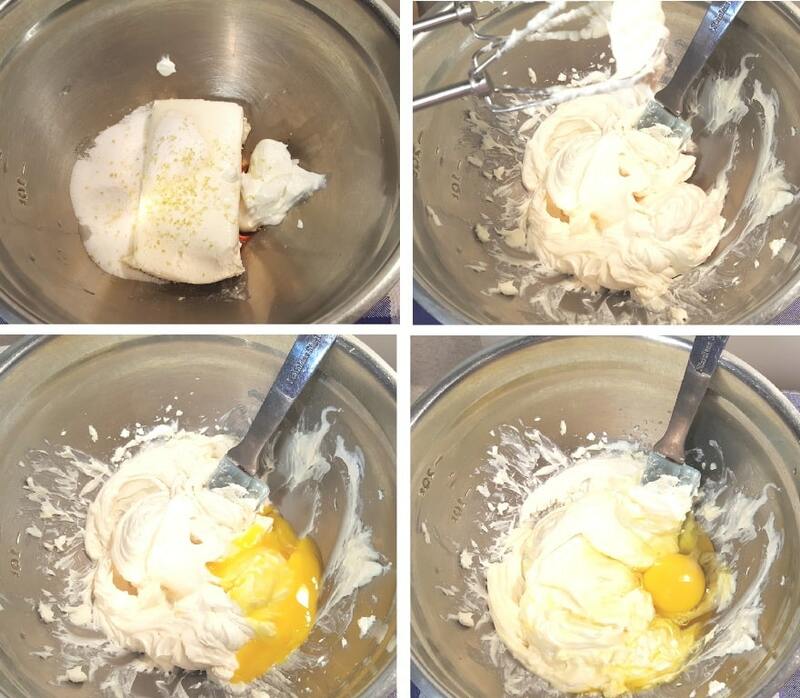 Add egg and yolk and hand mix until just combined. Do not over mix the eggs. 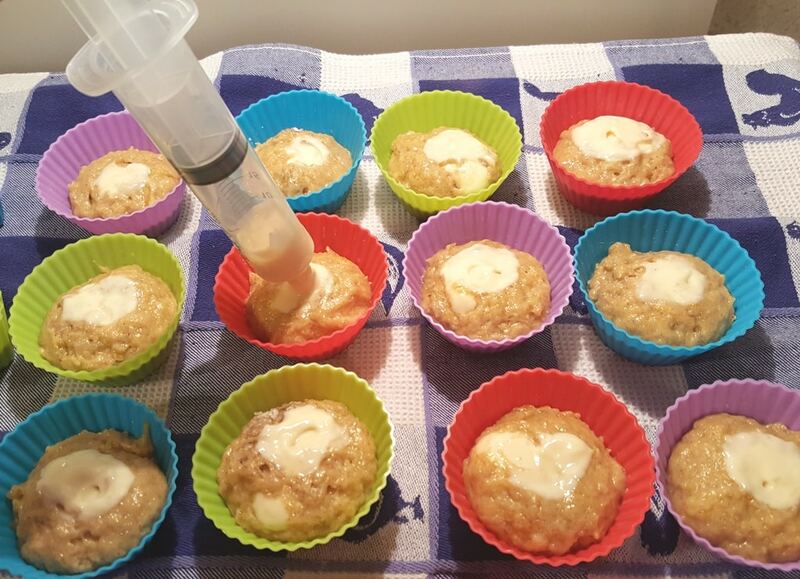 Add filling to a Syringe or Pastry Bag and inject tip deep into center of Muffin Batter. Squeeze in about 1.5 Tablespoons of filling, until all filling is used. Batter will puff up around filling. Add 1.5 cups water to Pressure Cooker cooking pot and place a trivet. Place Muffin cups on trivet. If you have a second trivet, you can stack them. Lock on lid and close Pressure Valve. 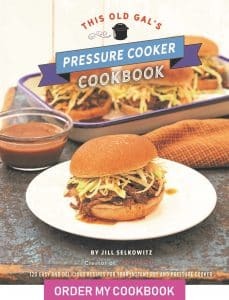 Cook at High Pressure for 7 minutes. When Beep sounds, allow a 15 minute Natural Pressure Release. Allow to cool and refrigerate. Before serving, garnish with a dollop of whipped cream and a dusting of cinnamon and/or nutmeg, if desired. 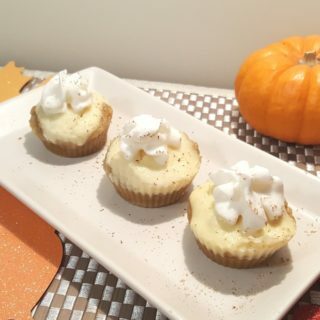 PIN this Instant Pot Pumpkin Cheesecake Muffin Bites! You may want to change the link for the long leg trivet. The one you linked to has a 23% of one star and a 5% of 2 starts complaints on it. Mostly that it’s not stainless steel, cheaply made and rusts if it doesn’t arrive broke. And now they’re getting around giving refunds by selling it for 99 cents, but then $4.99 shipping. Then they pocket the difference and only have to give you 99 cents back if you’re not happy with it. Plus, they’re in Hong Kong, I believe. Thought you’d like to know. 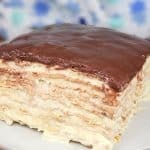 I haven’t made the recipe yet, so I haven’t rated it as it’s not right to rate a recipe you haven’t yet made. When I get the stuff together to make it and get it made, I’ll come back and rate it for you. 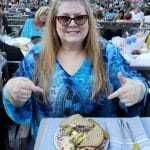 Darlene, it looks like you were looking at very old reviews. How long for just the New York cheese cake recipe in the cupcake sylicone mold? Hi! do you think I could make these in a silicone mould like the “egg bites” one? Mine hold 2.6 oz.